Looking to make a statement? 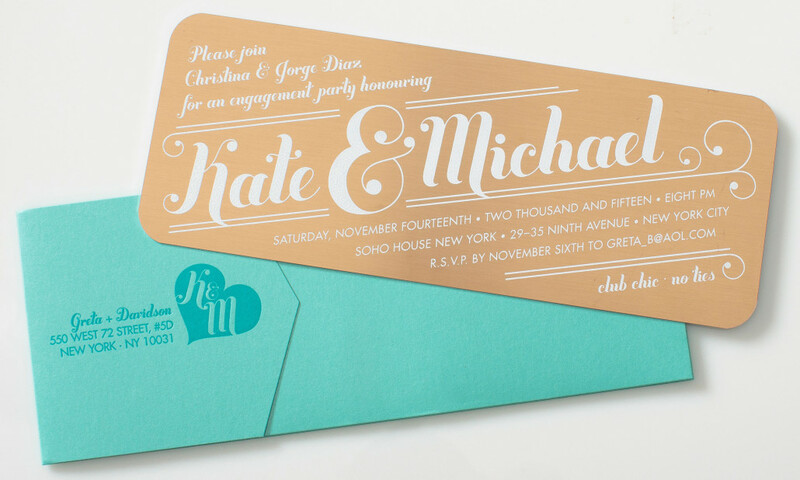 This copper metal wedding invite is printed with white ink and mails in a teal envelope. 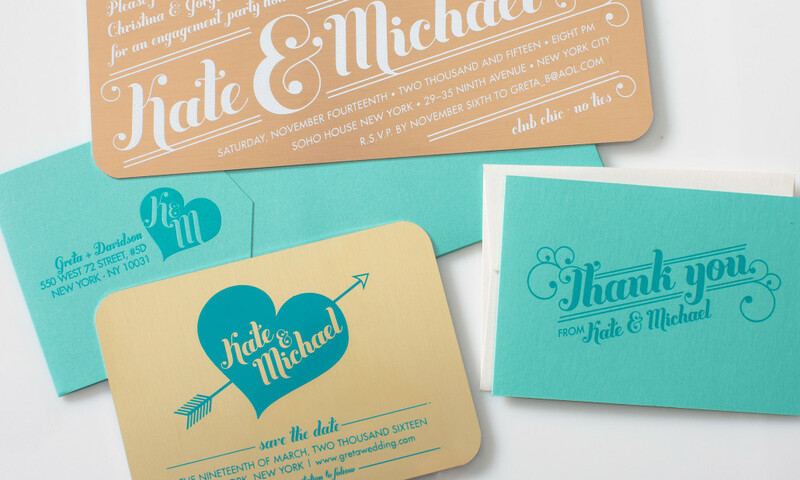 The fonts and graphic details used make a playful statement and compliment the unusual choice of material.